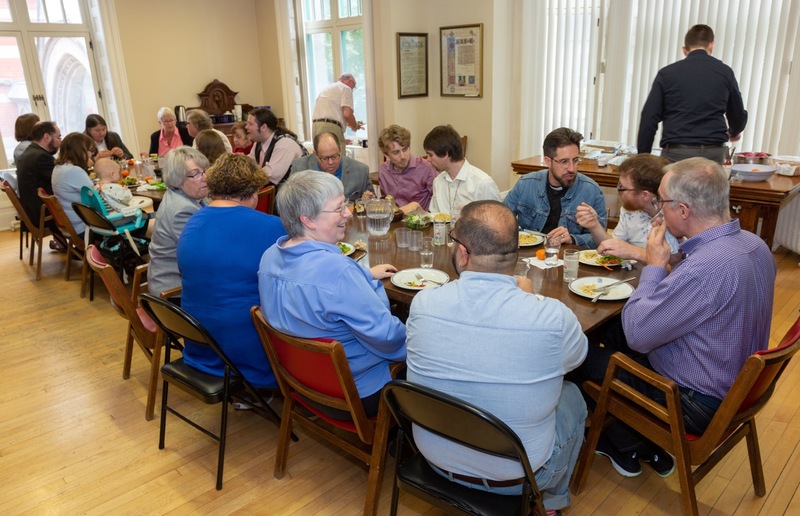 Dio strives to be a warm, welcoming, supportive, and encouraging community as we all seek to discern the ministries to which God is calling us. In our chapel life and on retreat, in our life in Montreal and around the college, we come together before Christ and as a community to grow in knowledge and love of God and one another. St. Luke’s Chapel is the heart of the college and the core of our common life. In 11 services per week, college students deepen their own life of prayer and continue to grow as worship leaders. The academic year begins each September with a college retreat on the shores of Lac MacDonald in the beautiful Laurentian Mountains. The retreat is an opportunity to get to know other members of the college community and reflect on our common life and calling as Christians in the world. All our work and study takes place against the backdrop of Montreal, a multi-cultural, multi-lingual, and world-class city. Montreal is home to four major universities, meaning there is always something interesting going on. Dio’s relationships with McGill and the Montreal School of Theology allow us to offer a world-class education while remaining an intimate community in which we all support one another as we continue to grow in our calling to serve Christ in the world. At Dio, no one is forgotten and everyone is valued. Read more about college life in our latest newsletters.